Broccoli is a vegetable that should be found in every vegan chef’s kitchen. It has a high nutritional value, and can be used in various ways to make vegan dishes even tastier. Broccoli is a great source of Vitamin C, B, and B6, Magnesium, and iron, eaten raw or cooked. While many people say that broccoli florets are hard to prepare, they can easily be removed from the stem with a sharp knife. The florets can then be cooked as a whole, to be added to rice dishes, or to accompany main dishes. Cooked broccoli florets can be prepared on he hob, by adding enough water in the saucepan to cover the vegetables, and some salt for taste. They can also be eaten on their own, dipped into a vegan sauce. This is a great way of preparing broccoli, as it allows the vegetable to maintain its tender crispy texture, as well as its color. Place the florets and sliced stem pieces in boiling water for 10-15 minutes, then take them out and put them in ice-cold water. Shorter boiling times will make broccoli just soft enough to add to salads or side dishes. 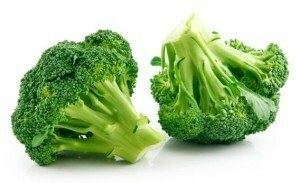 Steaming is another great way of preparing broccoli, as it helps preserving the color and the shape of the florets. The pieces will stay together, and look perfect to accompany any dish, or to be added to warm salads. Sauteing the broccoli on extra virgin olive oil will add the vegetable a different, bolder taste. You can add salt in the beginning, but make sure the hob is on low-medium setting, or the vegetables can turn brown. Roasting the broccoli florets in the oven is good for those who are looking for a crispy texture, and would like to add extra seasoning to the vegetable. Before roasting, olive oil mixed with seasoning can be spread on the surface for a more intense taste. When making a sauce for rice, lentil, or bean dish, adding broccoli sliced into small pieces can provide the sauce with texture and flavour at the same time. White sauces can look dull without a bit of colour, and adding a few slices of the stem or florets can make the dish look more desirable. Some people like creating colorful rice dishes, and broccoli is the perfect choice for adding both color and flavor. As the vegetable can be added to the rice dish in the last five minutes, so it maintains its crispy, fresh texture. Sliced or diced broccoli (the stem and the florets) can make the perfect slow cooker casserole. Other vegetables can be added, such as carrots, sweet potatoes, or parsnips. For extra texture, chickpeas, brown rice, or dried green peas can be added to the dish. To preserve the vitamins and minerals within broccoli, the best way of consuming them is raw. For vegans, the florets can be added to a banana, avocado, or even fruit smoothie. A hundred grams of broccoli provides 5 percent of the recommended protein intake, therefore, it is great for shakes designed for athletes, as well. Use water, for preparing the smoothie, or for a creamy texture add some coconut, almond, or soy milk. 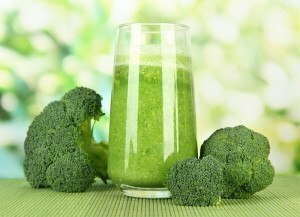 Raw broccoli in the juicer can provide plenty of antioxidants and a low-calorie start of the day. For extra taste, fresh lemon or lime juice can be added, as well as oranges and peaches. 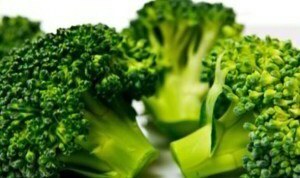 Broccoli, cut into small slices can be used as a main ingredient of salads, mixed with tomatoes, lettuce, and cabbage. It can also be sprinkled over a salad consisting of green beans, carrots, and cucumbers for extra color.